Status: offline 1939. The sand is slipping fast through the hourglass and the clouds of war are gathering all around the globe. While in Europe Germany is ready to finally challenge the order established with the Versailles Treaty and Italy is eager to expand its colonial dominion, in the Far East the Empire of Japan – already embroiled in a bitter war against China – has already proved to be a formidable adversary and soon it will have to face the rising American hostility. Are you eager to see the game in action? 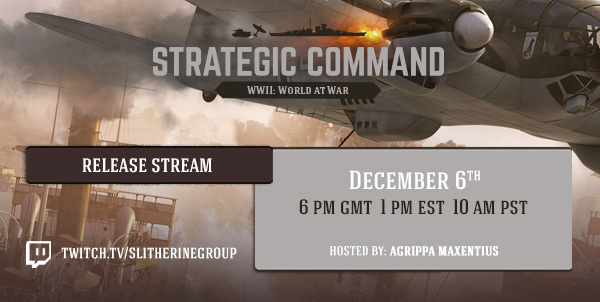 Join us today on our official Twitch Channel at 6 PM GMT!